Tracy's career in business operations began in the late 80's working for the South Kent Hospitals NHS Trust. She was a key part of the Resource Management and Training team responsible for a number of large projects including the design and delivery of IT training for administration staff. Tracy then worked for a leading UK Property Consultancy. As Office Manager, she was responsible for the smooth running of the London offices. She project managed moving the head office of around 200 people, dealing with all logistical aspects. She was appointed the QA Manager and played a key role in the implementation and on-going certification of the ISO9001 QA system. 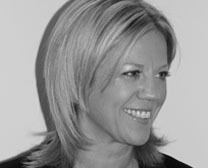 Tracy then worked for a major training organisation where she was responsible for managing the customer services team and business development, followed by a period working for a technology company spearheading the HR and office support team, introducing a staff handbook and performance plan system. Tracy moved back into the Property Industry, managing the administration function and special projects including paperless office and a new web based archiving system. She further improved the QA and Environment internal systems and continued her record of passing all external audit visits. She was promoted to Divisional Director and delivered a number of successful projects including re-writing the Business Continuity plan and the design and organisation of regular testing and training days. More recently, she has played a major role in setting up and managing a highly successful new business stream offering a range of environmental services. Tracy has been involved in charity work for primary schools in disadvantaged areas. She has a keen interest in gardening and wildlife, and enjoys spending quality time with her family.